Stoughton’s brigade reoccupies the crest of Hill One. 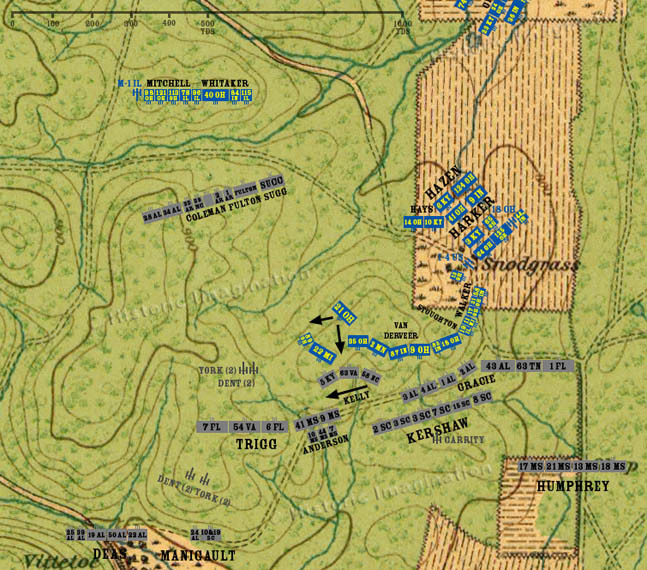 On Hill Three, the 21st Ohio splits into two battalions, one each to the left and right of the 89th Ohio and 22th Michigan. The 58th North Carolina moves from the right of Kelly’s Brigade line to the left.